When it comes to grilling with cedar planks, there are a lot of questions that often come up. Even the most experienced grill master can sharpen their knowledge about these versatile pieces. Once you start cooking on cedar, you won’t want to cook any other way. So, what are the most commonly asked questions? Here are some of them with our best explanations. What Can I Grill on Cedar Planks? 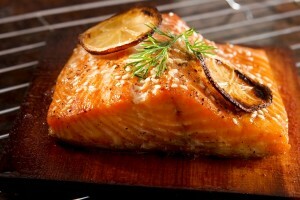 While the most common meat to grill is salmon, cedar is a wonderful wood for any meat you can think of. It is robust enough to smoke meats on low heat or, for higher temperature cooks, you can grill anything you can imagine. 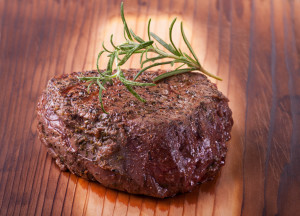 Since cedar is so versatile, you can easily grill lamb, fish, beef, pork, and game, too. Chicken is less commonly cooked on cedar, however, it is not unheard of. You can also grill your veggies on these planks as well. No more having tomatoes roll down between the grates! 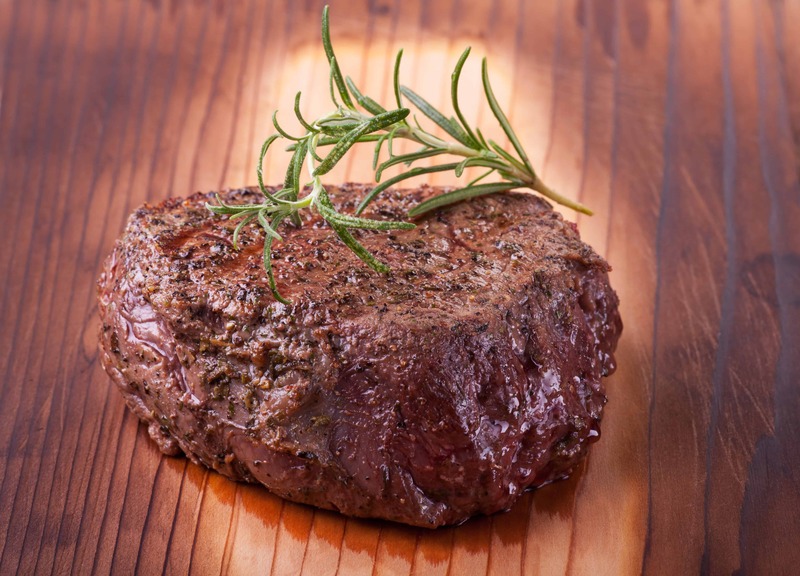 What are the benefits of Grilling on Cedar? When it comes to using wood as a grilling platform, you get an incredible smoky flavor, as well as helping the meat keep all of its juices. Cedar gives food a woodsy, sweet flavor, which is why it pairs well with many meats. What Are The Drawbacks Of Using Cedar Planks? There are only a few drawbacks to this spectacular tool for grillers – the cost and value. If you are looking for something that you can grill on time after time, grilling on a wood plank would not be to your liking. Since the wood will char, it will typically only last one grilling session. However, if you wish to make it last longer, use indirect heat or buy a baking plank, which you use in the oven. The other drawback is the cost. Depending on where you purchase the planks, it can be costly for the mere fact that it is a single use item. Is it worth it? We say, of course! Do I Need To Soak The Planks First? Experts recommend soaking your plank(s) for a few hours prior to use simply because you do not want to char the plank before the piece is done cooking. Soaking the wood will allow it to smoke more before burning, which will allow the meat to absorb more of the flavor throughout the cooking process. You should soak it for a minimum of an hour and a half, fully submerged in water. If you are using your plank for baking, simply oil it first, and you are good to go. No soaking is needed. Here’s a quick tip: When you are grilling meats, leave them cold. They will absorb smoke faster, which is perfect for shorter grilling times! Can I Soak The Planks In Anything Else For Better Flavor? For those of us that think water is a rather plain vessel of flavors, fear not! You can soak the planks in just about anything you would like. Many seasoned grill masters will add white wine, malt vinegar, and even herbs to their soaking solution. One of the great things about grilling is that you can try different variations for whatever meat you choose. Should I Grill Using Direct Heat or Indirect? This question is answered by choice. If you are looking to cook things quick, direct heat is great. However, since the plank is wet, it does not conduct heat well. Therefore, for best results, you can sear the meat to get those sought after grill lines and then transfer it to the plank for a slow cook. When cooking it slowly, be sure the plank is not directly in the flames. How Thick Does It Need To Be? Most experts have their planks between ¼ and ½ inch thick. The thickness varies depending on how long you will be cooking the meat. If you are using direct heat, many prefer a thick piece of wood, just so it lasts longer. However, for most purposes and for a backyard BBQ, the ¼ inch planks will do perfectly. Length, on the other hand, is dependent on what you are looking to cook. Go by how much you are looking to prepare and buy accordingly. Remember that you can always buy more than one plank if needed. Grilling is one of our favorite past times and now that the season is coming back around, why not try something new this year? Grilling with cedar planks is rewarding by giving you new flavors that cannot be achieved any other way. Not to mention, you can serve your meal right on the plank you cooked it on or on a new one for an even cleaner presentation. Have you tried grilling with cedar planks before? Tell us your stories and tips to help others achieve a tasty success. I’m so confused! 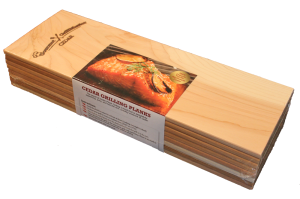 Can aromatic red cedar (the kind used for cedar chests) be used for plank grilling? Thank you.